If you are planning to move to a foreign country, one of the most important things to consider is insurance. The purpose of insurance is to protect you against losses. Traveling abroad (or moving to a foreign country) can be exciting, but there are also certain risks you should be aware of. 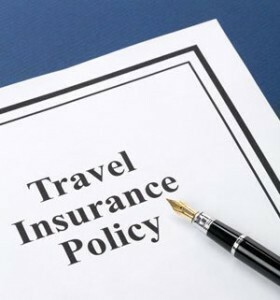 There are different types of travel insurance. For instance, many travel insurance policies will cover your transportation costs in case your flight is cancelled or delayed. Depending on the type of travel insurance policy, problems like lost luggage or damages caused by a hurricane can be covered – or you can also have a health insurance included. Traveling without insurance is never a good idea. Talk to an insurance agency and see which type of policy you need. In most cases, this will depend on the type of your trip, your destination, your age, etc. Health insurance is extremely important. If you are visiting a foreign country, or you want to move there for good, you will need health insurance. International private medical insurance has become very popular with expats. This type of insurance can be useful for several reasons. If you have moved to a country with a poor health care system, you won’t have to worry about health care, because your private medical insurance will cover you no matter what. Even if your new country’s health care system is great, it may be too expensive. If that is the case with you, you will be able to use your private insurance and save some money. In some countries, private medical insurance is mandatory for expats. It is important to choose the right type of health insurance for you and your family. You can find many different plans, but not all of them will have the same price. And not all of these policies will cover your family in the same way. If you will be driving your own car or a rental car in a foreign country, you might want to consider international auto insurance. International auto insurance is a great way to protect yourself (and the car) from any losses or damages. Living abroad can give you the opportunity to try new things (depending on where you are). Many people are attracted by extreme sports. However, many activities can be hazardous and these are not covered by “usual” insurance plans. If you are interested in trying any extreme sport, you have to buy travel insurance that includes an extreme sport policy. • TFG Global: Special Risks Coverage: TFG Global Insurance Solutions Ltd. can provide help for clients who are exposed to high risk. They offer health, evacuation and dismemberment coverage in countries like Iraq, Africa and Afghanistan. • Expat Plus: This company is open to expatriates and their family members whose home country or host country is located within the European Economic Area. • Healthcare International is another provider of global private health insurance.